Products tagged with 'Hurricane stove'. Hurricane 12" Single Burner w/solid welded frame around burner, 60,000 BTU. 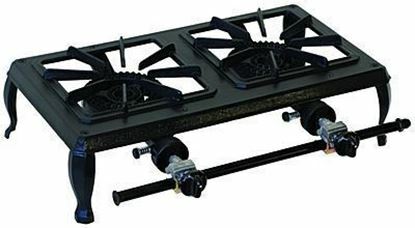 Hurricane double burner economy cast iron stove. Each burner produces 15,000 BTU. 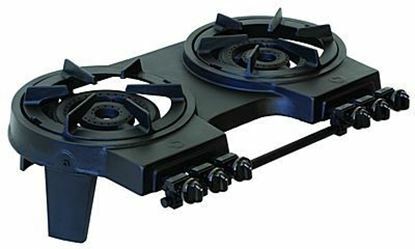 Hurricane double burner heavy duty cast iron stove. 35,000 BTU per burner. 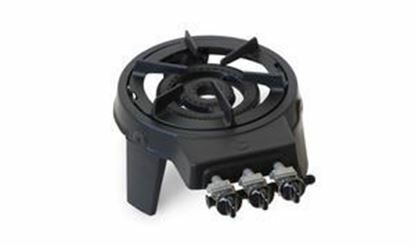 Hurricane stove single burner heavy duty cast iron stove, 35,000 BTU. Hurricane triple burner economy cast iron stove. 15,000 BTU per burner. Available in propane or natural gas.